Security guards working for the Metro transit system are not licensed as police officers by the state, and don’t have authority to arrest anyone. The St. Louis County Police Department is investigating at least seven claims that security guards on MetroLink trains and platforms acted like police officers — allegations the Bi-State Development Agency, which runs the transportation system, denies. 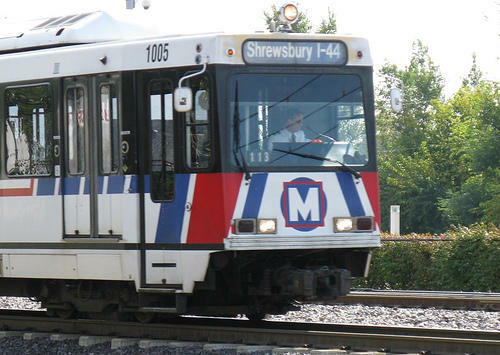 The department wrote its first report about a MetroLink guard attempting to make an arrest on April 8, St. Louis County Police spokesman Sgt. Shawn McGuire said Tuesday, though incidents are alleged to have happened before that. The security guards are not licensed as officers by the state and therefore don’t have authority to arrest anyone. The guards are employed directly by Bi-State and aren’t the contracted private security company employees. Bi-State CEO John Nations denied the allegations in letters to state and county officials. “Bi-State Development has not created, and is not attempting to create, a police department, and we are not employing peace officers in any manner on than through contracts as mentioned in your letter,” Nations wrote to St. Louis County Prosecutor Bob McCulloch and state public safety director Drew Juden in April, after the two men raised concerns about the allegations. Nations also said Bi-State will change the uniforms in order to avoid confusion. The federal legislation that established the Bi-State Development Agency in 1950 left in question the level of MetroLink officers’ power in, considering it didn’t give the agency any authority to crack down on fare evasion or other rule violations. In the early 1990s, the Missouri and Illinois legislatures acted to grant Bi-State the authority to “employ personnel to maintain safety and order and to enforce Agency rules and regulations.” Congress authorized the move in April 1996. Because the agency covers two states, courts have ruled that individual state laws can’t be enforced against Bi-State. So, what isn’t clear is whether Missouri can demand that Bi-State guards meet the state’s licensing requirements for peace officers. It was not immediately clear why Bi-State had requested the legal memo, or if they planned a lawsuit to keep the Department of Public Safety from enforcing the licensing restrictions based on the information in the memo.